©Copyright 2007-2014 by Devo Tech, Inc. and SoloRacer.com. 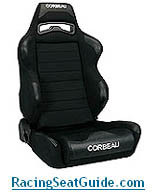 RacingTireGuide.com was developed by SoloRacer.com, a leading provider of auto racing safety equipment. We do not sell tires directly, but have put together this guide in affilation with The Tire Rack to help those of you looking for racing, performance, winter and off road tire information. Use the menu at the left to navigate the guide. 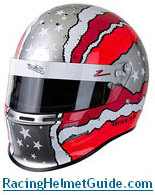 7/2/2009 - All future news items will be posted in our new Racing Tire Blog. The Ventus R-S3 is a new Extreme Performance Summer tire aimed at enthusiasts looking for a race-minded street tire that can also meet the demands of autocross, drifting and track events. 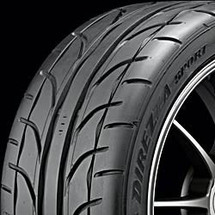 The Direzza Sport Z1 StarSpec is Dunlop's Extreme Performance Summer tire developed to provide race tire-like traction on the street, as well as for autocross, drifting and track events. The Ecsta V710 is a DOT-legal competition radial developed for drivers who want the highest level of performance for dry track conditions.